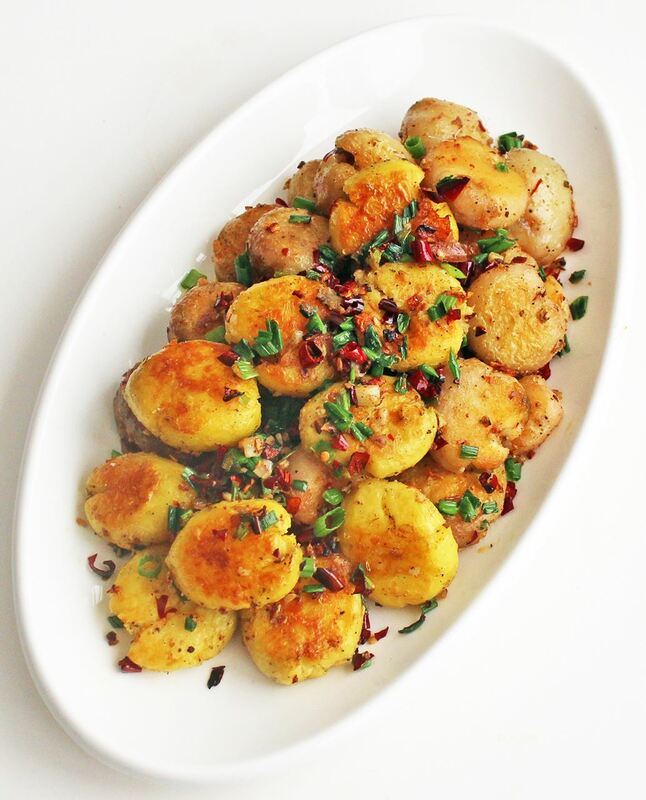 This simple but delicious recipe is a fast and clean way to prepare baby potatoes with an authentic Sichuan mala flavor. 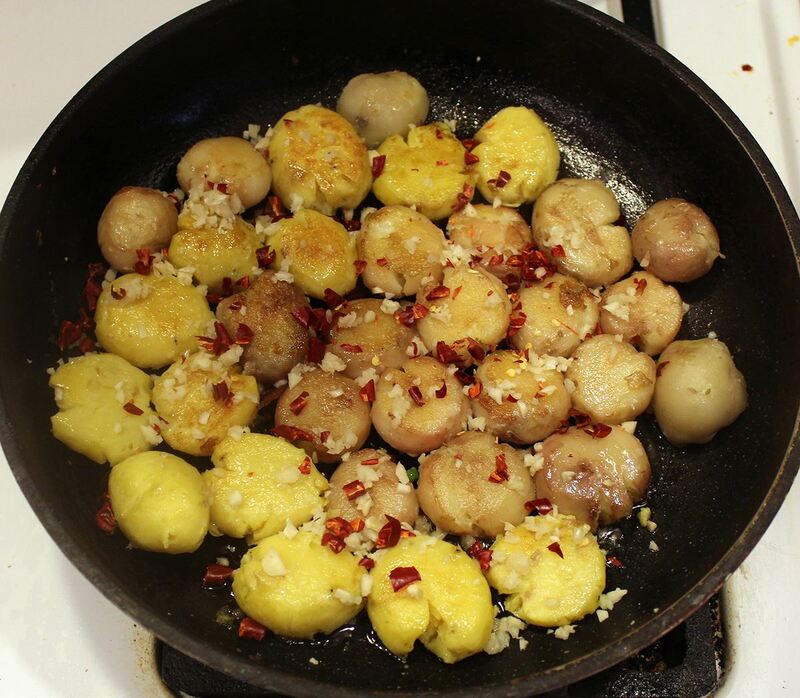 The potatoes will be delicious no matter it is cooked with any type of oil and any amount of chili pepper and Sichuan pepper powder. 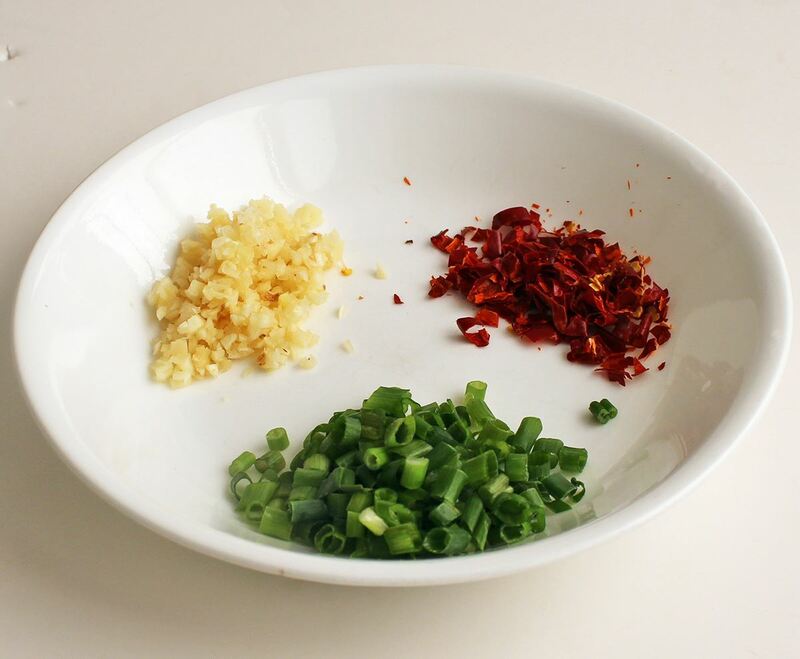 1Mince green onions, garlic cloves and chili peppers. 2Steam potatoes until fork tender. Remove the potato skin and press half on cutting board. 3Heat a large frying pan over medium low heat with cooking oil (you may add some butter to enhance the flavor). 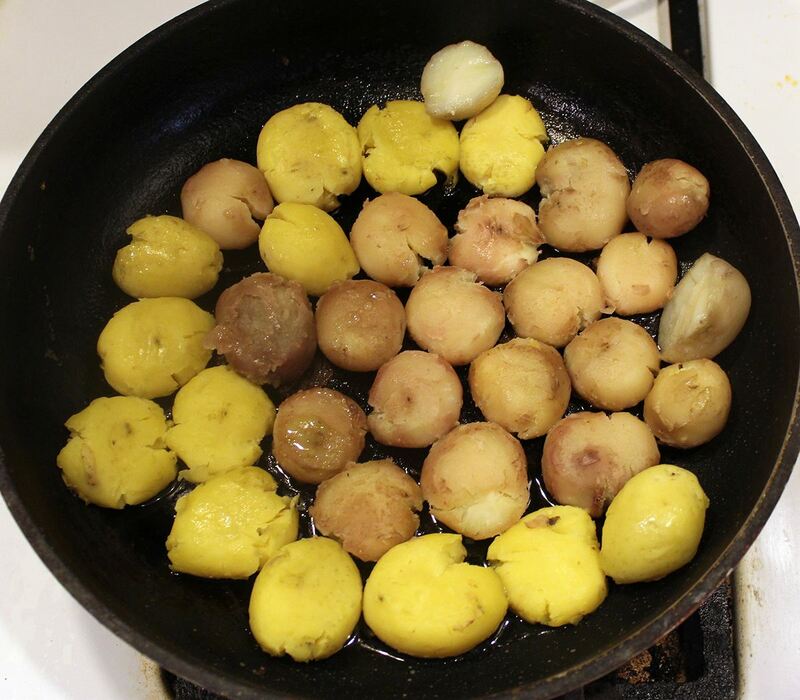 Layout the potatoes in the pan. Cook uncovered and undisturbed until golden brown crust forms on the bottoms. 4Spread the minced garlic and chili peppers. 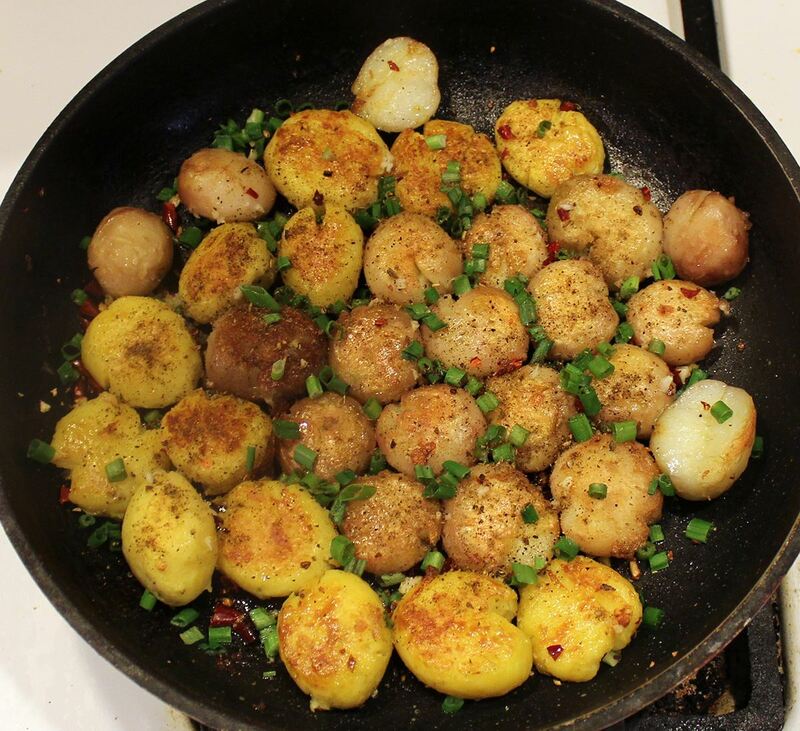 Roll over potatoes and cook until golden brown on the second side. 5Sprinkle the minced green onions and Sichuan pepper salt. Gently stir well. 6Add salt as needed. 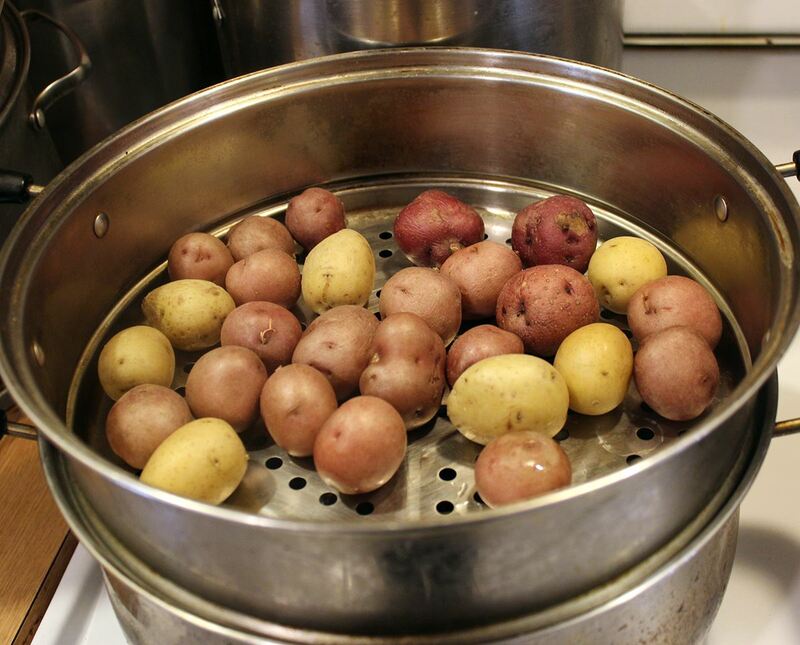 Transfer the potatoes to a warmed serving plate. Serve hot. 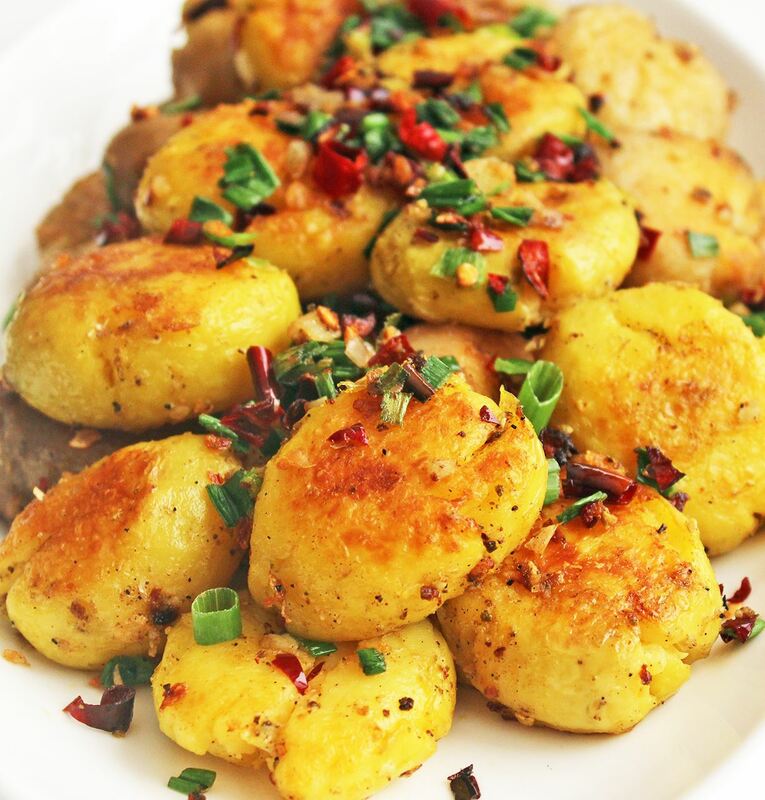 Can you top this dish with ground Szechuan peppercorn?